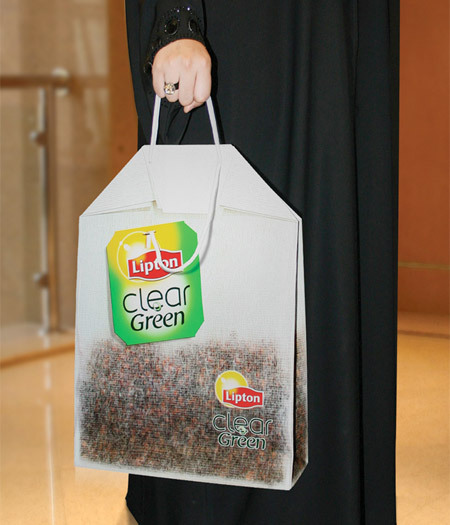 Cool shopping bag designed to look like Lipton Clear Green tea bag. 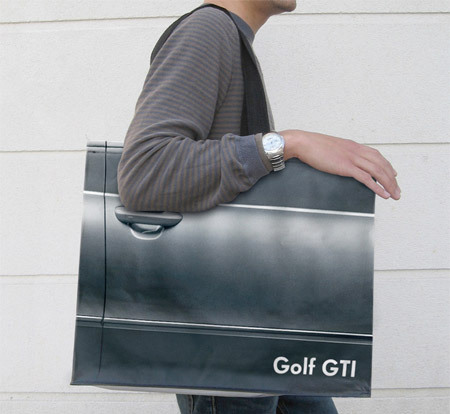 These clever shopping bags were given out during the Paris Motor Show. 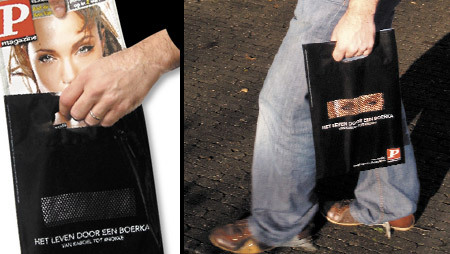 Unique shopping bag designed for P Magazine shows life through Burka. Awesome shopping bags designed for Meralco electricity supplier. 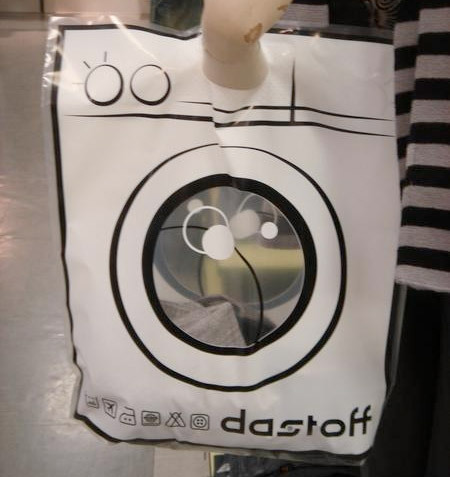 Shopping bag designed for Blush lingerie store in Berlin, Germany. 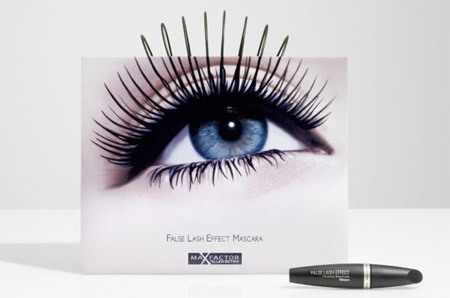 Creative shopping bags designed to promote Max Factor mascara. 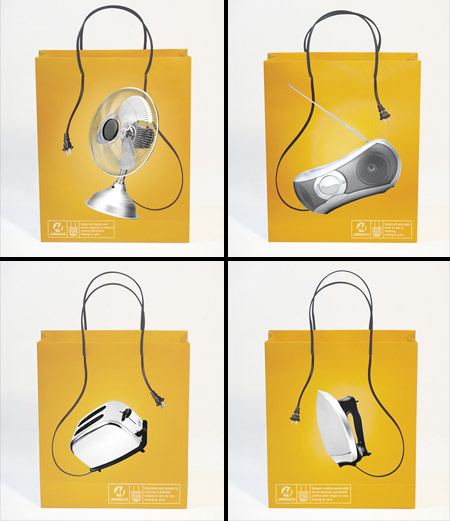 Unusual shopping bag designed by Antje Gerwien for ReVital. To illustrate the slimming benefits of GNC BURN 60, these memorable shopping bags were given out to customers. Shopping bag designed to promote pain reliever and fever reducer tablets. 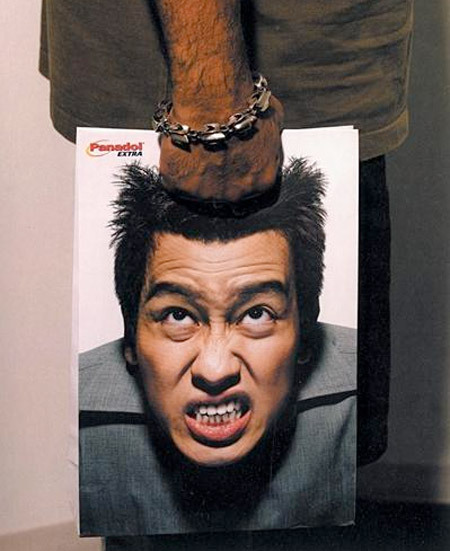 Handles of Kong’s shopping bags also play the role of shoelaces. fave is a the burka bag. The Meralco bags are clever, modern, fun and stylish… perfect for selling electronic gadgets. These are really cool– got a big chuckle out of the lingerie bag– and I’m a girl. These are great! The blush would have me blushing, though. The Golf makes me feel wealthy, lol! Wow! The Meralco bags are brilliant!! Nice collection of unusual bags! 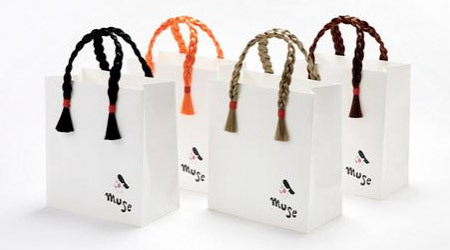 while most bags rely on clever visuals….the ‘slimming bag’ n the ‘muse hair bags’ have a touchy feely element to them……. these are excellent. I would like to have one of these!!! 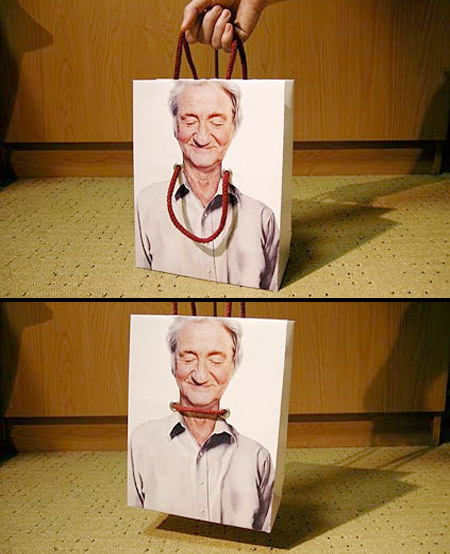 very creative i would like to design shoping bags. The Max Factor Eye Bag listed here was an award winner in the 2009 international Mobius Awards for advertising. Real treat to see it here. I hate the revital bag. A good friend of mine committed suicide by hanging himself. Shopping bags shouldn’t represent death.